The STLP 9128 E special is nearly identical like the STLP 9120 E but with folded longest elements and smaller structure angle. The stacked Log Periodic Dipole Antenna (Stacked LPDA) consists of two ordinary Log.-Per. structures. The excellent characteristics (flat gain over a large bandwidth, low SWR) of the ordinary LPDA designs could be maintained using the stacked LPDA design. 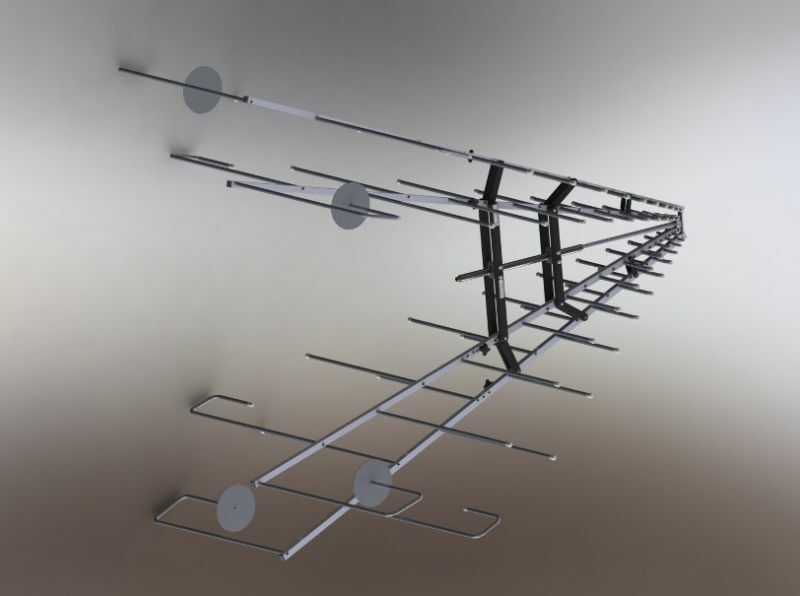 The stacked design helps to focus the directional pattern of the H-plane somewhat, resulting in a typical gain improvement of 2.5 dB compared to an ordinary LP antenna. This is especially important for immunity testing, where a maximum fieldstrength and a good field uniformity is required. The beamwidth in the E-plane and the H-plane are nearly identical, providing an optimised illumination of the EuT with minimised ground reflection influence.Further the cross polar rejection of the STLP 9128 E special is excellent. The fastlinks allows to disassemble the rear elements without any need for further tools within a few seconds. 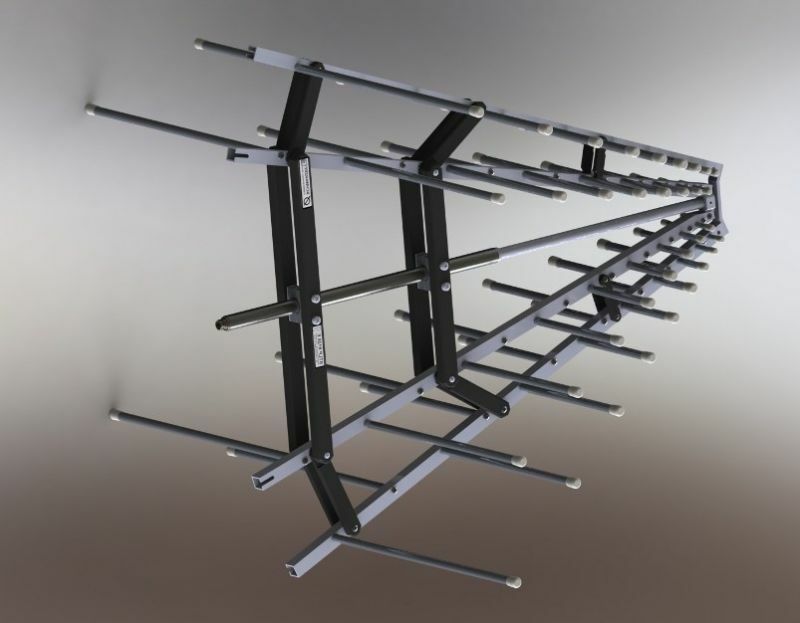 These fastlinks divide the antenna into five parts, which can be stored and transported easily. Main Application: Generation of defined high field strength levels for radiated immunity testing. [fastlinks.pdf] for quick removal of the rear parts of the antenna.